A teacher who loves to share resources for others to teach. 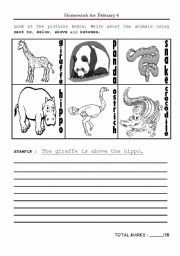 An easy and simple worksheet. A simple worksheet. The children need to look at the picture and color the correct answer. EasY! 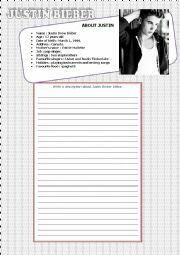 A simple writing activity for sharing. I hope you find it useful. A simple cloze passage for reinforcing holidays vocabulary.Enjoy! 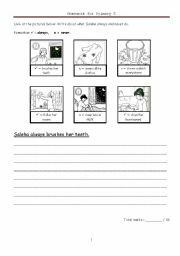 A survey worksheet that�s include the four skills: listening, speaking, reading and writing. The children ask their friends verbally and put the pictures in the correct tables. Then they can write about their friends using the frequecny of adverbs stated. 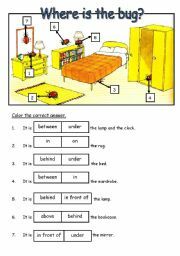 Good written exercise for students to revise prepositions next to, between, above and below. 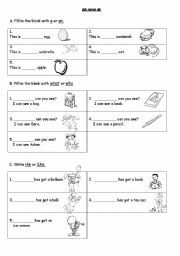 A simple revision grammar worksheet. 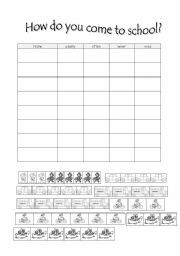 A simple worksheet based on the Disney�s The Fox and The Hound. 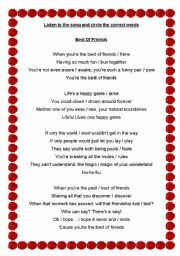 Title of the song �Best of Friends.� Enjoy. A simple 3 part exercises from the FROZEN movie song. Let the pupils watch the video clips and then do the exercises. Enjoy! Suitable for revising and reinforcing simple present tense. It�s choose the correct answer types. Hope the children will enjoy this fun slides. A simple notes slides about common nouns. It�s simple and easy to understand. An introduction to what is a machine, simple machine and reasons why we need machine and what will happens if there are no machines to help us. A continuation from my previous work Grammar : Articles (Explanation. Here is the MCQ type. Hope your pupils will enjoy them. This powerpoint is suitable in reinforcing spelling or �What is this?� question. Originally I want to use real animals pictures. Due to its size, I have to use cliparts. Part two will soon to follow. A continuation from my previous slides �Jungle Animals (part 1).� Hope you like it and enjoy using them. A simple explanation for describing Articles. I use links to connect to each slides so you don�t have to back and forth. Enjoy! A continuation notes from �Common Nouns.� With simple explanation and colourful examples. Enjoy!